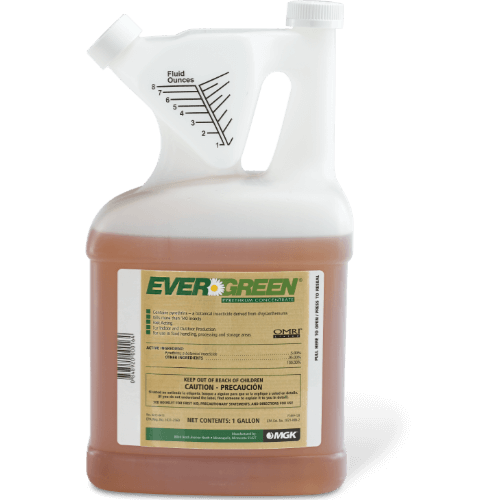 EverGreen Pyrethrum Concentrate is a water-based insecticide that delivers flushing, fast knockdown and kill of more than 140 commercial and residential pests, including cockroaches, stored product pests, flies, mosquitoes, spiders, ants and fleas. Reference the product label for the full list of pests killed or controlled. EverGreen Pyrethrum Concentrate is OMRI listed for use in organic production.